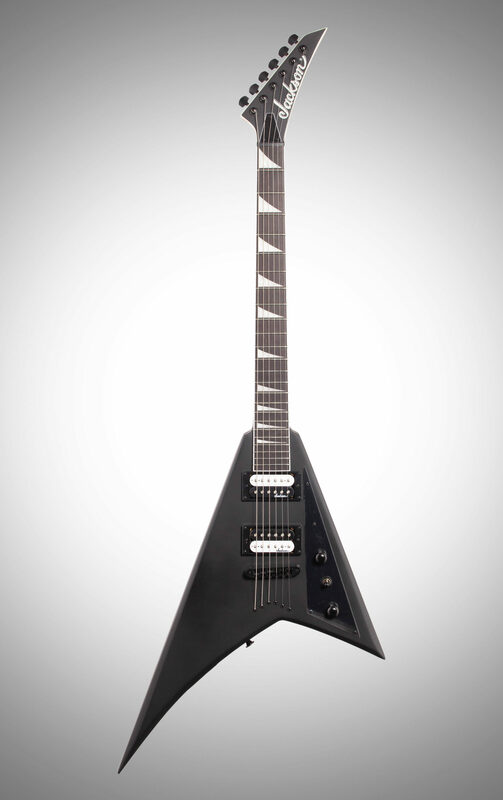 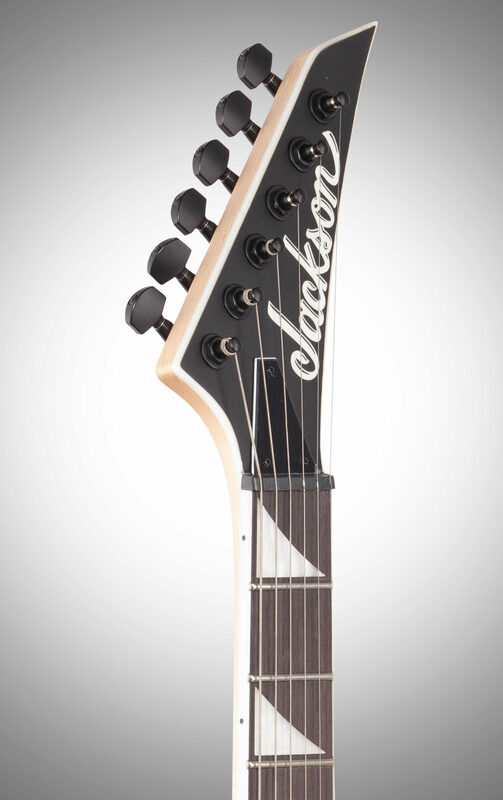 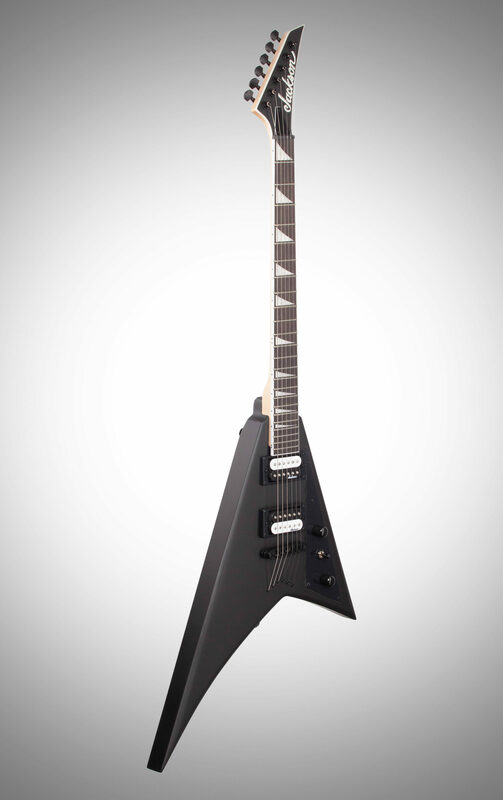 The Jackson JS Series Rhoads JS32T has a poplar body and a bolt-on maple speed neck with graphite reinforcement and scarf joint for rock-solid stability. 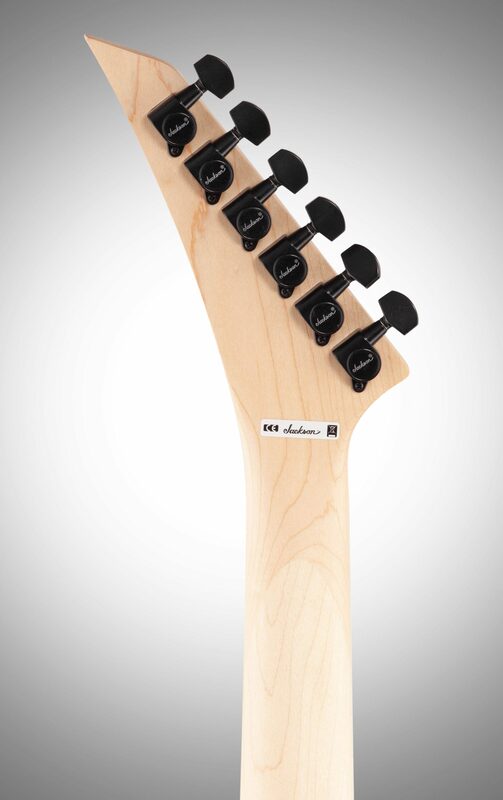 Hosting 24 jumbo frets and pearloid sharkfin inlays, the 12-16" compound radius fully bound amaranth fingerboard creates the ideal playing surface for fat riffs and easy chording near the black plastic nut while gradually flattening in the upper registers for lightning-quick solos and wide bends without fear of fretting out. 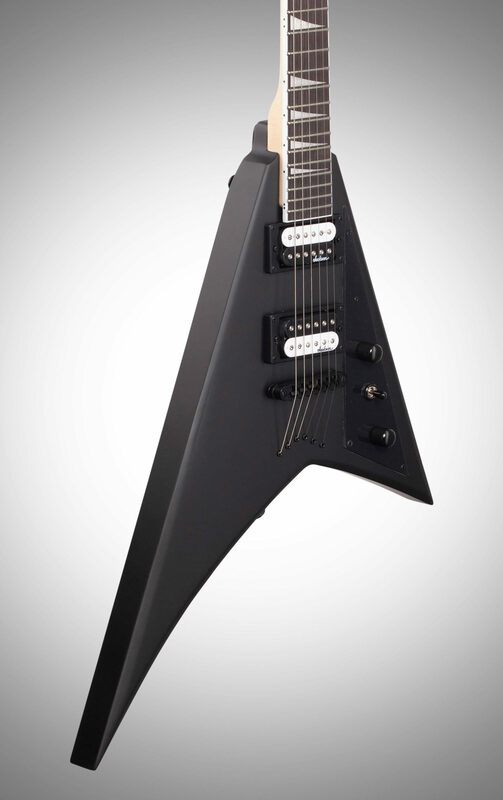 Other great features include dual Jackson high-output humbucking pickups with ceramic magnets power, single volume and tone controls, three-way toggle switch, an adjustable string-through compensated bridge and die-cast tuners. 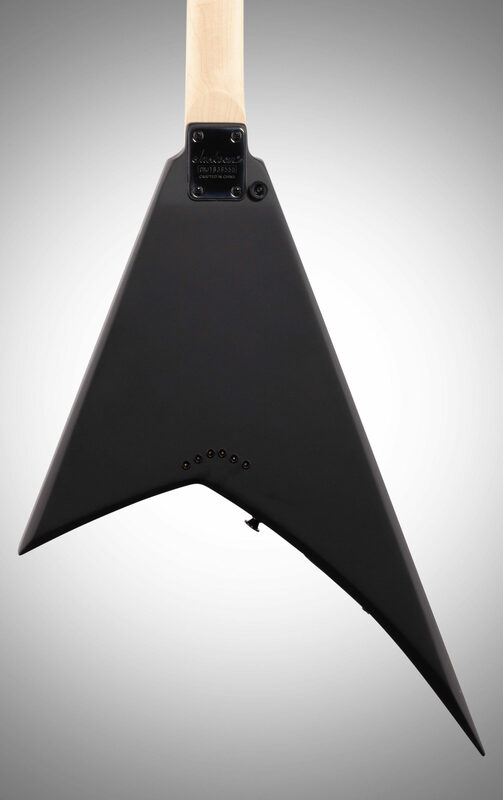 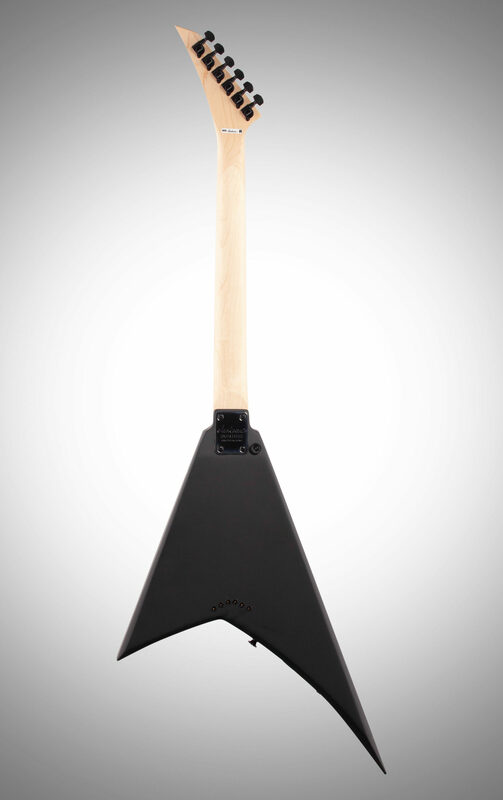 This angular battle-tested axe is available in Satin Black or White with Black Bevels, and is finished off with a black pickguard and black hardware.